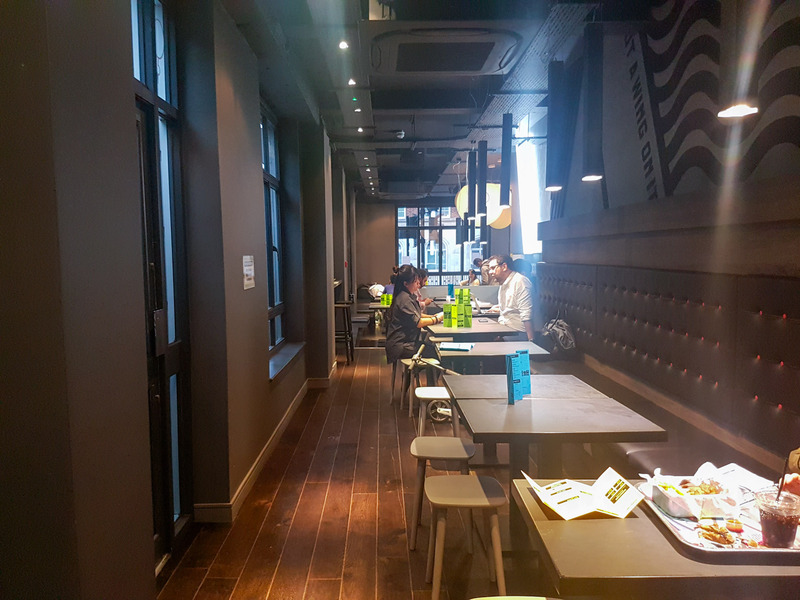 I’m always on the lookout for new and different exciting restaurants that offer up something different to the usual. 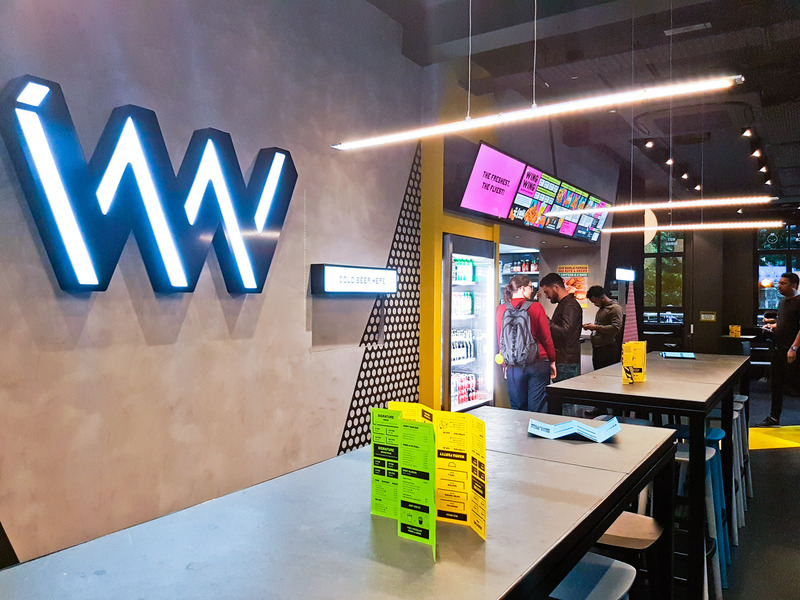 Wing Wing is a hip new fast food outlet that offers Halal Korean free range fried chicken! 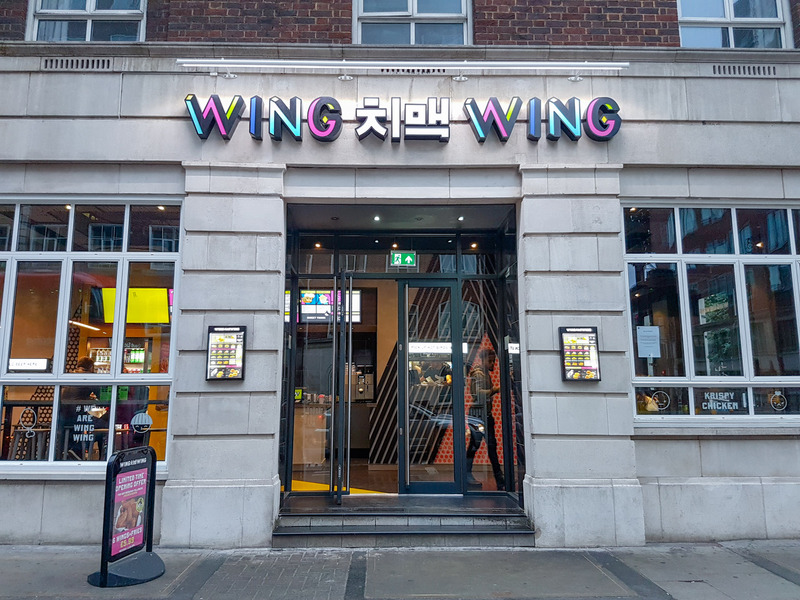 At the time of writing this review, I’ve had Wing Wing on 3 different occasions. The first was a visit to the restaurant as a paying customer. The second, I ordered a chicken burger via uber eats to my office the 3rd was a bloggers event that Wing Wing invited me to, So, I’ve been able to sample a lot of the menu. 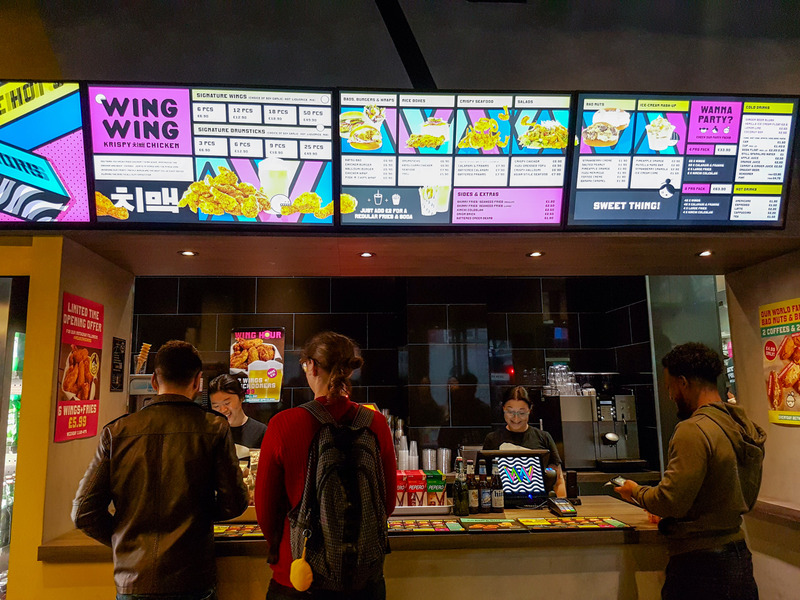 On my first visit, I decided to try the chicken wings, chicken drumsticks and also a Bao burger along with some seaweed chips and some battered beans. On all 3 occasions I’ve had food here, it’s been really good. 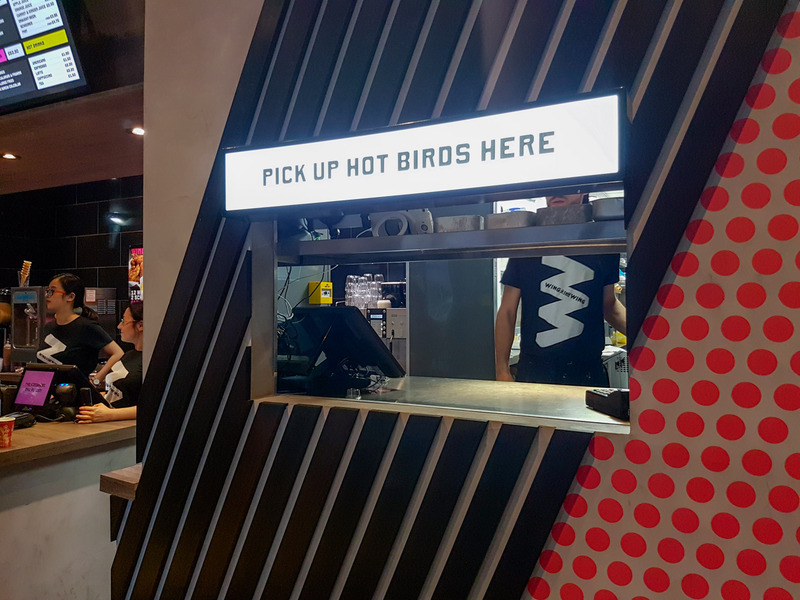 It’s not your average fried chicken place. The glaze really enhances the flavour of the chicken batter and the batter itself is really crispy and delicious as well as the fact that the chicken is fresh and tender. Both wings and drumsticks are given the same glaze treatment. The wings are whole wings, so you get a good sized portion. 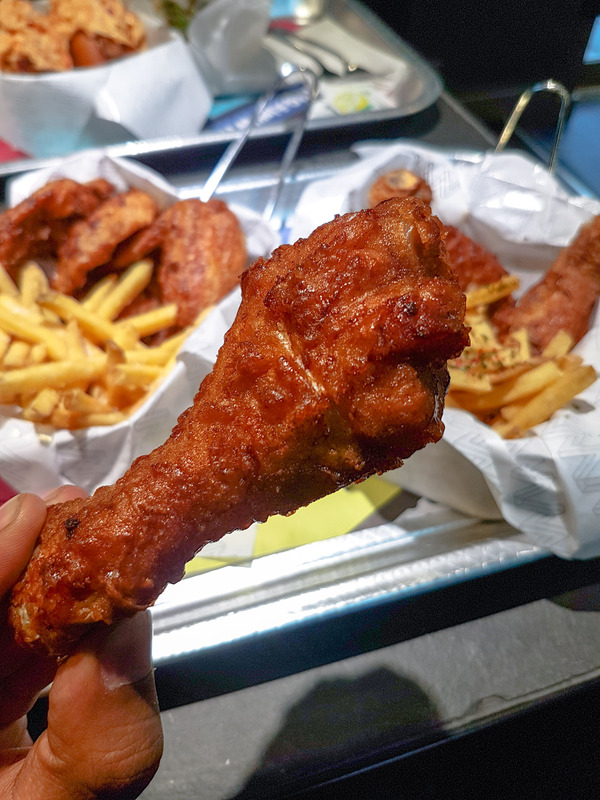 I think I prefer the drumsticks than the wings, only because you get the big bite of hot juicy deliciousness. The chicken burger that I’ve had is also so good. 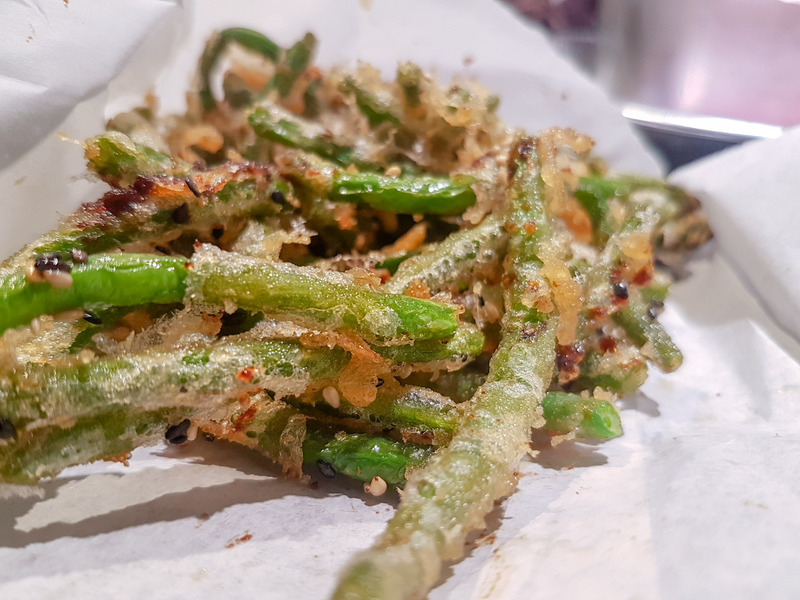 They pack it with so many different and unique Korean inspired flavours and ingredients that it creates a really different texture and taste to what I’m used to. 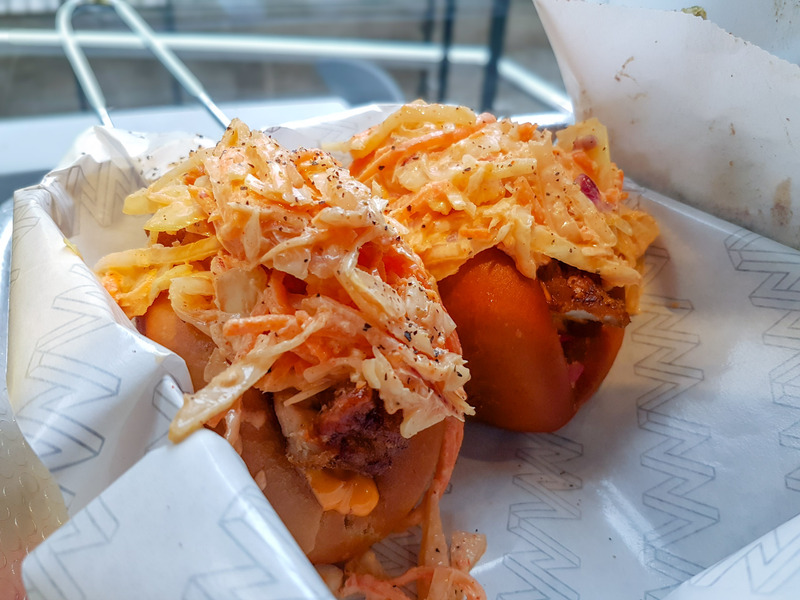 The baos are also different in a good way, there was a little too much use of Slaw that made the Bao into a Mushy mess, but I prefer the assembly and taste of the burger. The venue is bright and coloured with a strong Korean karaoke styled theme. 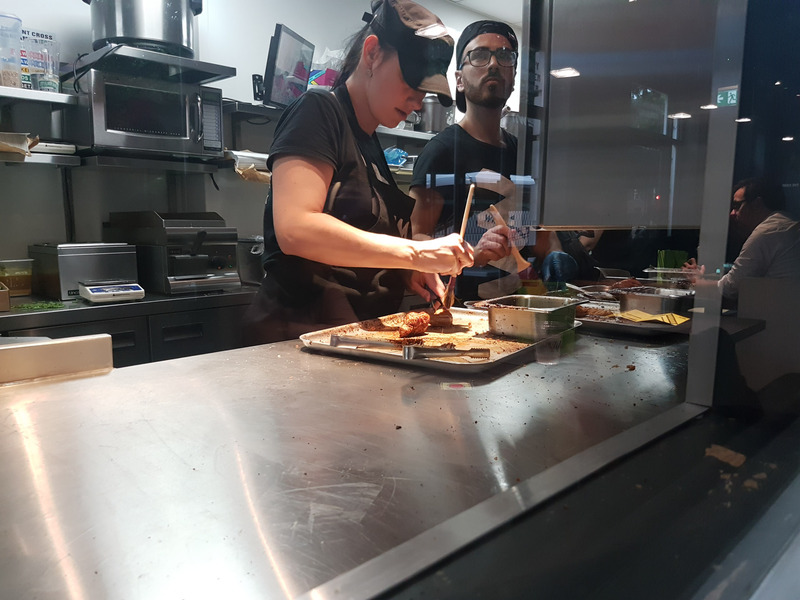 It’s fast food, so you are given a buzzer when the food is ready to take to your table. I believe they also have a ‘K pop’ karaoke room at the back as well. It’s really close to SOAS and UCL university, so i’m sure it will be popular with the local uni crowd. 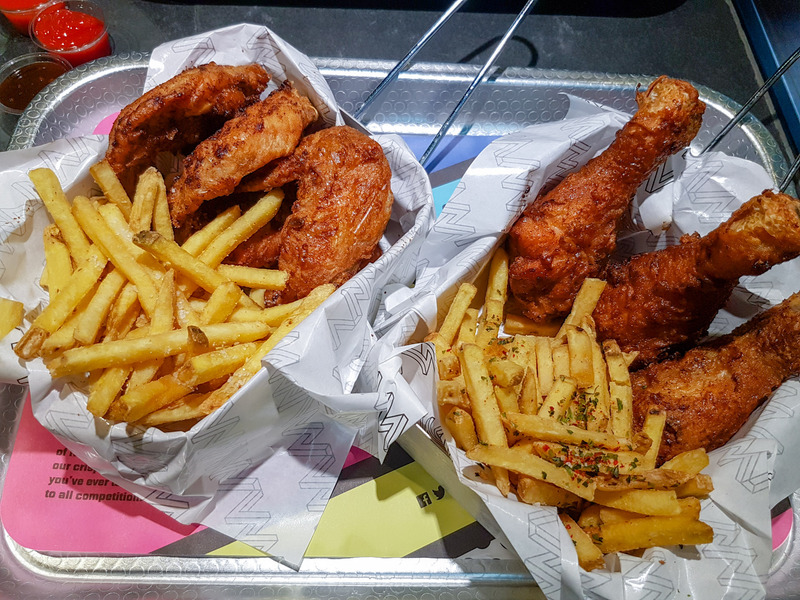 The price is more than your average fried chicken shop, but I could definitely tell a difference in the chicken quality The cost of 6 wings is £6.90, the cost of 3 drumsticks also £6.90 and £2.00 extra for chips and drink. If you like your chicken fried and wanna try something different than the usual ‘Spice Hut’ then give this a go. I recommend getting a mix of glazes so you can figure out your favourite flavour of choice. Hey Buddy!, I found this information for you: "Wing Wing". 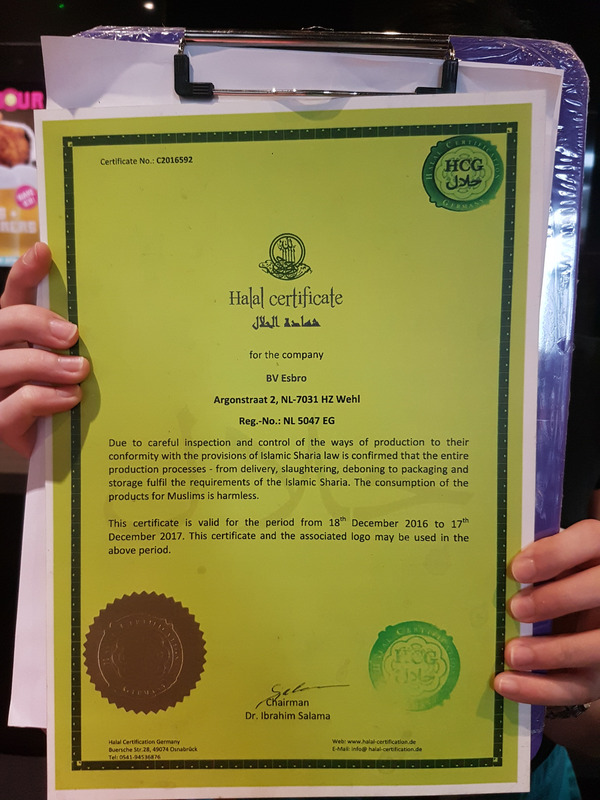 Here is the website link: http://halalfoodguy.co.uk/wing-wing/. Thank you.